InR aligns with best-in-class strategic partners to bring best-of-breed solutions to the marketplace. We believe that a collaboration of retirement plan experts specializing in the different aspects of retirement plan management delivers the best solution to plan sponsors and participants—keeping them front and center. Our goal is to build strategic partnerships designed to work seamlessly and provide growth. Vanguard is one of the world’s largest investment companies, offering a large selection of low-cost mutual funds, ETFs, advice, and related services. For 40 years, Vanguard has had an unwavering focus on investors dedicated to creating wealth for clients. Vanguard keeps costs lower than the industry average, commits to time-tested investment principles and delivers services with the highest degree of integrity. At Vanguard, investor interest trumps profits. Vanguard serves more than 20 million clients with offices around the world servicing individual investors, participants in employer-sponsored retirement plans, financial advisors, institutional investors and investors outside the United States. Using low-cost, efficient investments in the models provides a level of comfort to employers, and InR, as fiduciary for the investment advice provided. Aspire is a leading service provider of smart retirement solutions offering the most extensive technology-enabled recordkeeping and plan processing capabilities nationwide for all plan types micro to large and all retirement plan stakeholders. For over 13 years, Aspire has offered full fee disclosure, competitive pricing and advocated for participants to have access to a dignified retirement. Aspire maintains and monitors details of plan assets and participant accounts through an open-investment platform, enabling access to relevant plan information and account reports, and providing processing services for any required transactions. TD Ameritrade is a leading provider of comprehensive brokerage and custody services to over 4,000 fee-based independent Registered Investment Advisors (RIAs) and their clients. For over 40 years, the firm has delivered smart operational solutions, innovative technology, customized practice management and flexible investment solutions, all with one goal in mind—impeccable service. As steadfast advocates for independent advisors, TD Ameritrade Institutional* continually speaks out to ensure that RIA needs and their clients’ needs are always considered within the regulatory environment. This collaborative approach and innovative technology solutions ensure that TD Ameritrade Institutional spends less time navigating a one-size-fits-all solution and more time focused on exceeding your expectations. Knowledge is Key, Commitment to Client Service, In-Depth Results … Faster, and Building Strategic Partnerships. Riskalyze is the company that invented the Risk Number™, the first-ever quantitative way to capture client risk tolerance, align portfolios to client expectations, and quantify the suitability of investments. Riskalyze was named one of the world’s ten most innovative companies in finance. Morningstar, Inc. is a leading provider of independent investment research in North America, Europe, Australia, and Asia. We offer an extensive line of products and services for individual investors, financial advisors, asset managers, and retirement plan providers and sponsors. 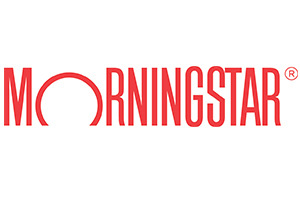 Morningstar provides data on approximately 500,000 investment offerings, including stocks, mutual funds, and similar vehicles, along with real-time global market data on more than 15 million equities, indexes, futures, options, commodities, and precious metals, in addition to foreign exchange and Treasury markets.